The Intel Atom Z2480 is a SoC (System on a Chip) with the Codename Penwell and part of the Medfield platform. 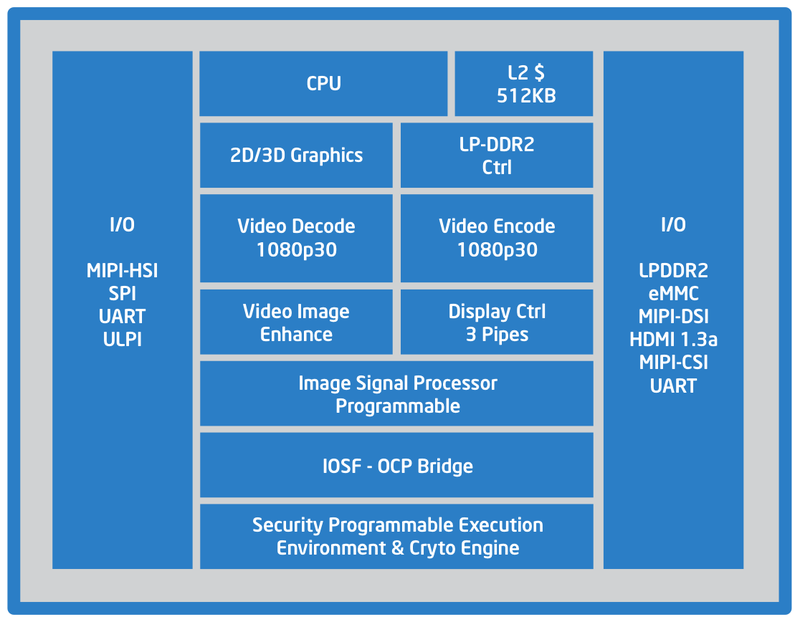 The Z2480 is a one chip SoC and integrates a single core Atom processor (Saltwell) clocked at up to 2.0 GHz. Due to Hyper-Threading two threads can be executed on the single core (for improved efficiency). The processor performance should be on a level with a previous generation Atom processor clocked at 2.0 GHz (e.g., the Z550). Due to the X86 architecture, native ARM code on Android has to be translated on the fly and therefore the performance may degrade on certain applications. The whole SoC was optimized for power efficiency and low power consumption. It is produced with a 32nm LP (low power) process.